Actually you did miss something , did you not see the DW01A IC and the FS8205A dual MOSFET in OPs picture? The second version of TP4056 modules comes with these protection chips. Julian Ilett has done a good review on these modules. Wrong, you're talking about these first version of the TP4056 modules, OP has posted the second version with battery protection features. Please read the Original post before replying to any of the later posts. Regularly discharging cheap cells to 2.5 volts will destroy them like you said but the OPs project will not use that much power to completely drain a 18650, unless he is planning to use an Ultrafire 10,000mAH crap. That would work if your project is only meant for outdoors. Actually there are models that outputs without a button press. Like this one. Even if the batteries are not at full charge your LEDs will be damaged. You need to add a simple resistor to prevent that from happening. Here, this site will help you choose the right resistor value. Just make sure you set the source voltage to 5 volts since the power bank always outputs at 5v. don't forget to add a resistor. 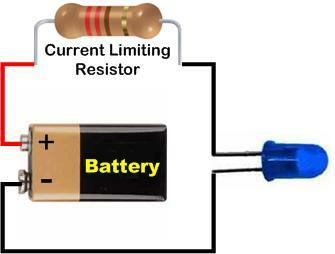 replace the 9v battery from the picture with your usb power bank.